This is a one handed Vibro ax that I am working on. I still need to greeble, paint, and weather this thing up but so far I think it looks good. I'm not paranoid, just prepared. "Ogir is nayc miit par paranoid shi tsikala." 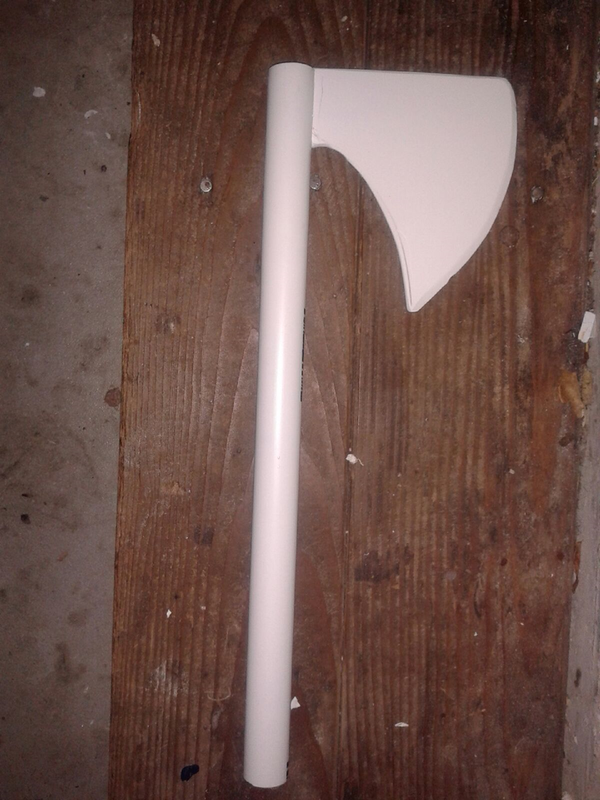 Good simple bearded war axe to start from. There's plenty of potential for greeblification!